Photo: Beach scenes at Ao Hin Khok. Ko Samet is no Ko Tao or Ko Lanta when it comes to scuba diving, but some decent underwater seascapes can be discovered in the area. 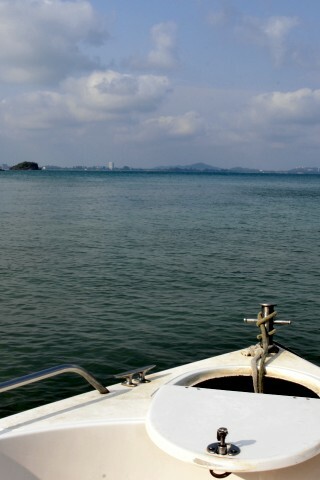 Browse places to stay in Ko Samet on Agoda.com. Free cancellation. With visibility usually ranging from five to 10 metres, reefs can be explored by taking open-water dives at various points off the Samet coast as well as nearby islands like Ko Thalu and Ko Plateen. Expect pufferfish and a few rays at a five-metre-deep granite rock known as Hin Khao; black-tip sharks at 20-metre-deep Shark Point; and impressive coral at 22-metre-deep Rong Chan. Offering day dives, beginner lessons and PADI certification, Samet’s diving outfits include Udi’s Scuba Diving on Ao Phai; Ploy Diving on Haad Sai Kaew; and Ao Prao Divers located at Ao Prao Resort. The latter is probably the largest diving company on the island, attracting well-heeled divers staying at the Samed Resorts group’s eight resorts.